There are a number of different cases available for smartphones that will keep your handset protected, but many of these will hide the stylish design that the manufacturer has spent time and money developing. 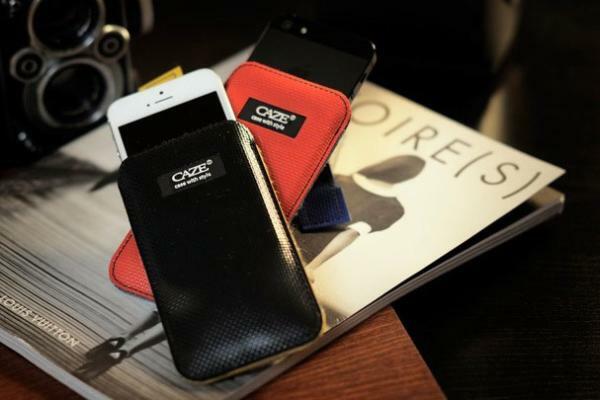 Today we have news of the Canvaz slim-fit sleeve case for the Apple iPhone 5 by CAZE that will protect the handset while not in use but allow easy access. This new product from CAZE is manufactured from a durable scratch and water resistant canvas material that is ideal for any weather conditions, but is soft enough to hold or grip easily. The sleeve has a pull tab strap that allows users to easily access their smartphone and protects it without adding bulk. The inside of the sleeve case has a velvety lining that protects and even cleans the iPhone 5 as it is placed inside or removed, and comes with a free crystal clear screen protector. There is also a free wallet size stand for the handset, and the internal strap has a different colour to give it an even more stylish look. Fingerprints or other smudges will be removed from the display thanks to the premium microfiber lining, and the Canvaz iPhone 5 slim-fit sleeve is available in black or red colour options and can be ordered from the iPhonecaze official website for $26.90.